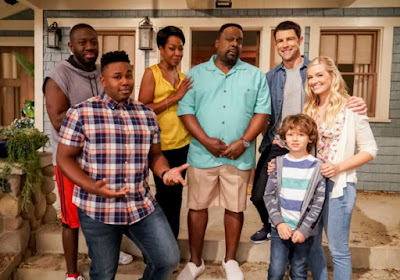 You know what's sort of hilarious? 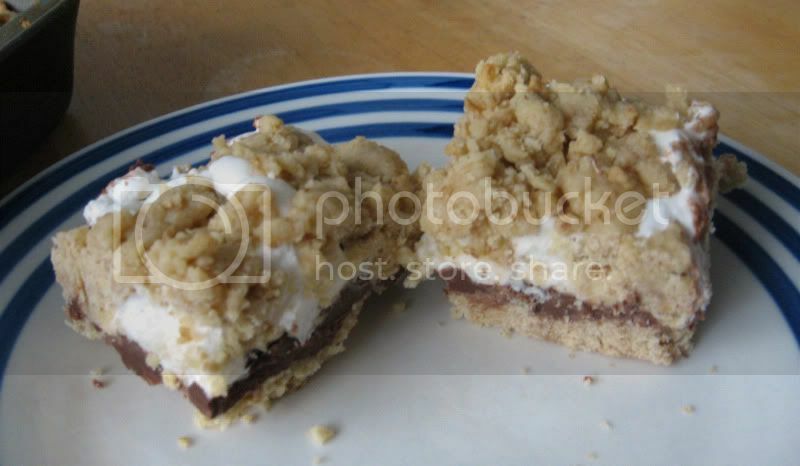 I've been kind of obsessed with trying to make some sort of treat that was like s'mores, but not, for a while now. And do you know what I forgot in the process? I don't even like s'mores that much! What in the world! Why did I want to make something like them so bad? It's because I always think I'm going to like them more than I do. What is that about? This may require some serious personal reflection. But. Hey! You there! You probably like s'mores, right? Then you'll probably love these bars. They've got everything in a convenient bar form! 1. 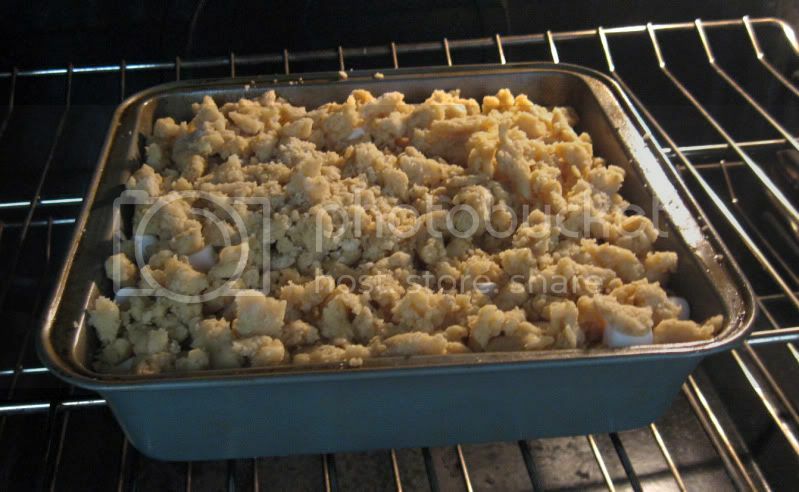 Heat oven to 350 degree F. Grease 8-inch square baking pan. 2. 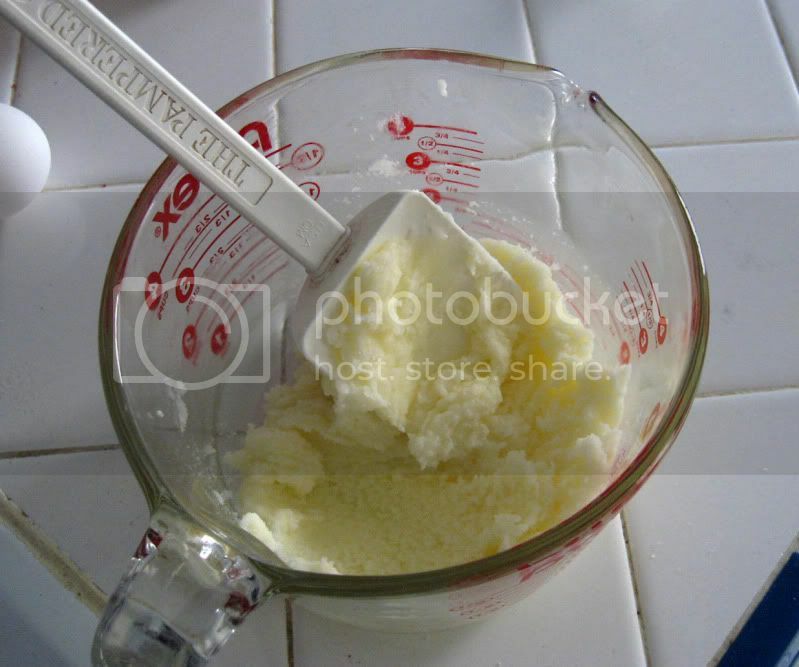 Beat butter and sugar until well blended in large bowl. Add egg and vanilla; beat well. 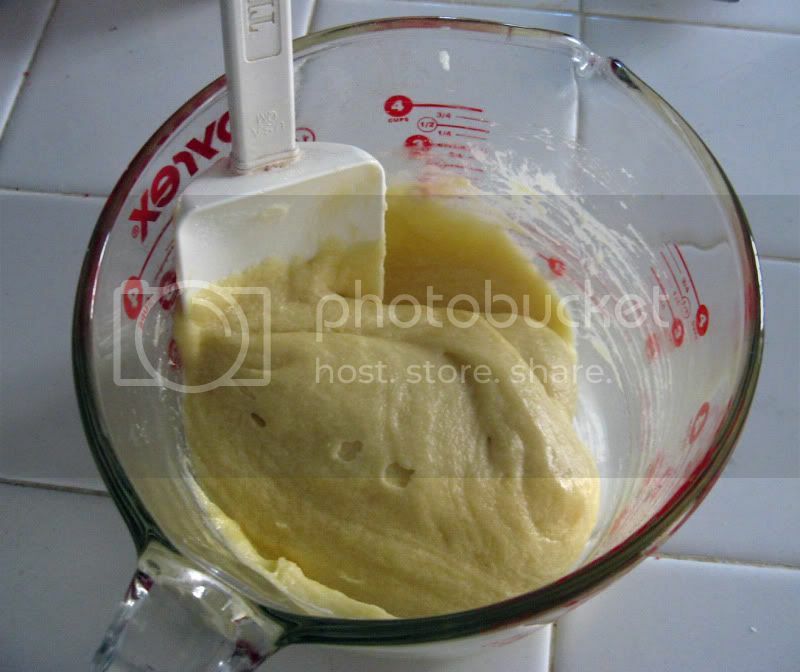 Stir together flour, graham cracker crumbs, baking powder and salt; add to butter mixture, beating until blended. 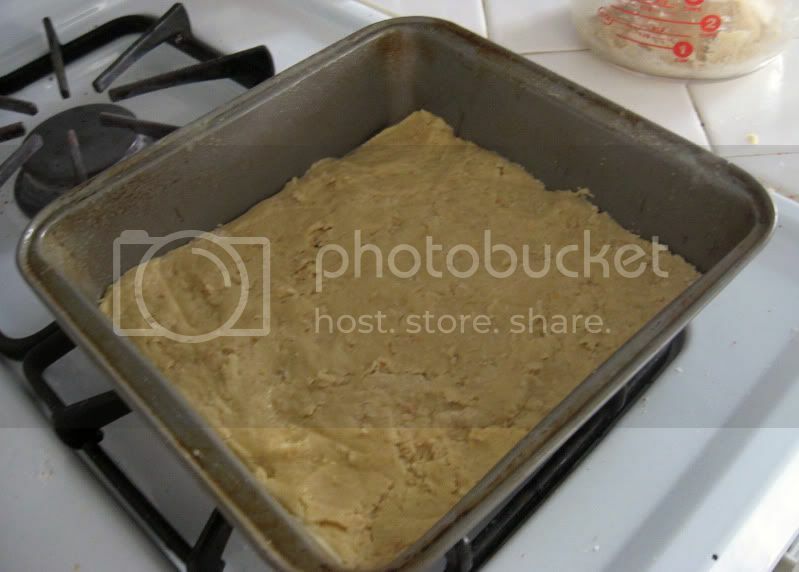 Press half of dough in prepared pan. Bake 15 minutes. 3. 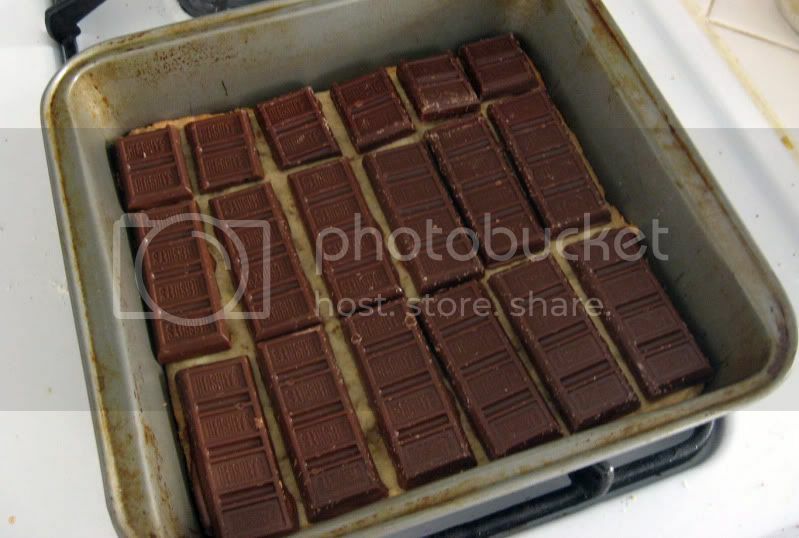 Sprinkle mini chocolate bars over baked layer or arrange unwrapped chocolate bars over baked layer, breaking as needed to fit. 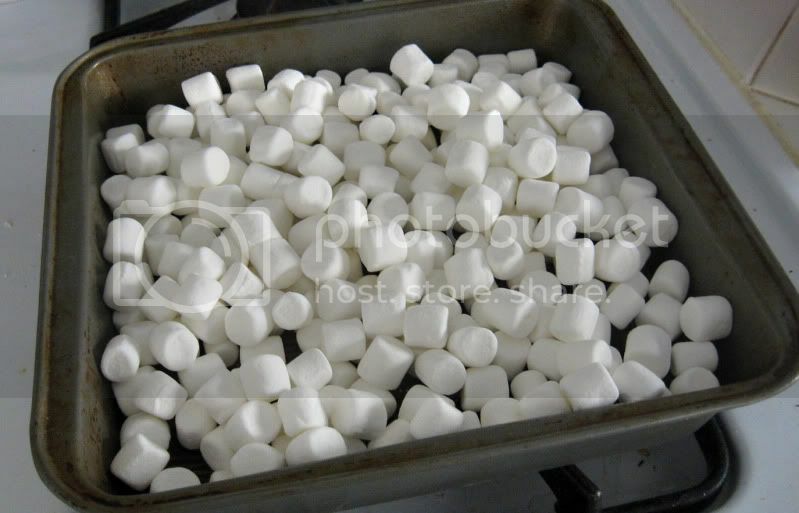 Sprinkle with marshmallows; scatter bits of remaining dough over marshmallows, forming top layer. Bake 10 to 15 minutes or just until lightly browned. Cool completely in pan on wire rack. Cut into bars. 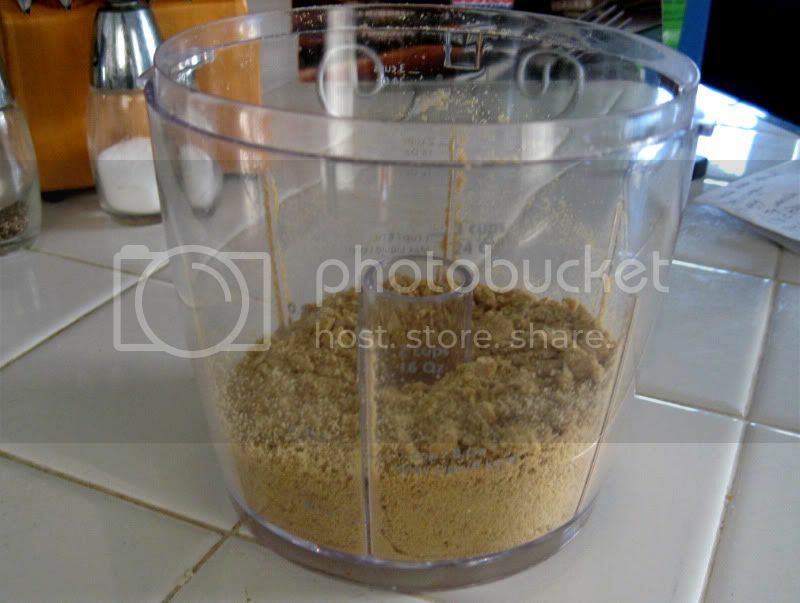 I recently got a little mini food processor that I used to crush up the graham crackers. I used my most fancy dish - a pyrex bowl! ha. - to soften the butter and mix in the sugar. Here 'tis with the eggs and vanilla all mixed in, resembling dough more and more. 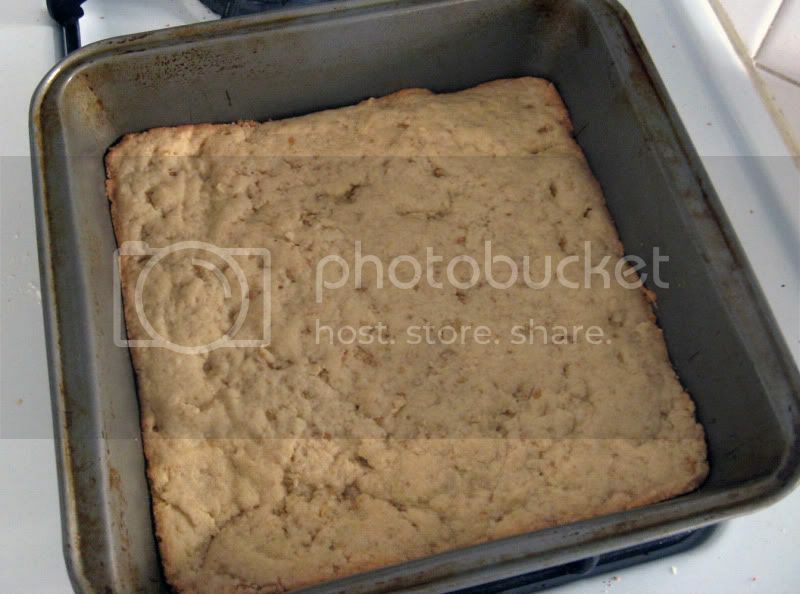 After you add in the graham cracker/flour mixture, which I apparently forgot to take a photo of, press half of the dough into your greased up pan. It will come out looking something like this. Oooh, now for the fun part. Layer of Hershey's bars. 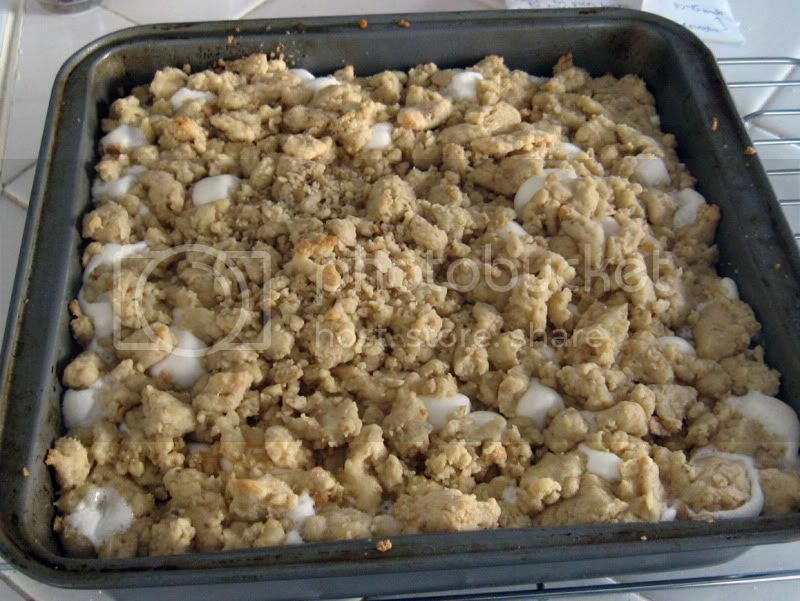 Crumble the rest of the dough on top. Use your hands, it won't kill you. It will come out looking something like this. As in, not a whole lot different to the naked eye! 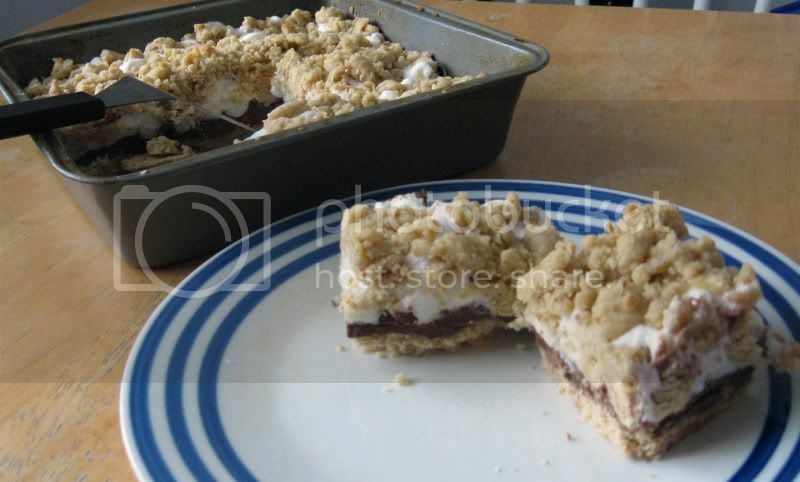 After you've let it cool, which is really a necessity if you don't want marshmallow goo going everywhere, cut up some bars and serve! Incidentally, these were sort of bland to me. But I had some friends who seemed to like them just fine, so maybe it was just my predisposed not-really-liking s'mores propensity showing through. Sure.